How to Build a Brand Called "You"
Scan the room in which you are sitting. Everywhere you look, your eyes are swimming in brand after brand. The computer you are reading this on, the shoes you are wearing, and the lunch you are waiting to eat are all associated with different brands. So, how can you make your brand stand out in the sea of logos and names? Branding goes beyond simple advertisements. It is the overall quality of work produced. Forbes describes that, “Your personal brand is all about who you are and what you want to be known for” (Muse). Personal branding is stitched into a company or person’s being, and becomes an identity based on special interests. Offering great skills, services and products is a beneficial step in building a business, but how many times have you seen a talented baker struggle to pay the rent in his bakery? How many students are unemployed after college? In his book, The Brand Called You, Peter Montoya writes, “imagine the benefit of consciously crafting your Personal Brand to powerfully convey your value to people you want to work with, and who can influence others to work with you” (Montoya). This is not something that just happens; it is a carefully articulated skill. When building your brand, allowing your personality to shine through will allow your target market to relate to you. If you are a big business, you are finally putting the face behind the corporation that customers want to see. Anyone entering or participating in the work field should create a brand of themselves, in order to reach as many opportunities as possible. Mashable’s article explains, “Many people think that personal branding is just for celebrities such as Paris Hilton or Britney Spears, yet each and every one of us is a brand. Personal branding, by definition, is the process by which we market ourselves to others. As a brand, we can leverage the same strategies that make these celebrities or corporate brands appeal to others” (Shawbel). You might not be selling an item or products through a company, but you are selling yourself to clients and companies for whom you might aspire to work. To create your personal brand, you must market your identity, skills, and goals to your target audience. As Shawbel stated, branding is not only beneficial to celebrities and top CEOs, but to everyone. He writes, “Whether you’re on the job hunt, a student, or gainfully employed, you must think, act, and plan like a business leader. With the surge of social media, you have not only the ability, but you now have the need to manage your own reputation, both online and in real life. Employers will Google you before they even invite you to an interview” (Muse). Watching and tweaking every aspect of your brand (from social media to your wardrobe) is beneficial to reach your target audience. In today’s market, branding yourself is a creative way to gain a competitive edge. Montoya writes, “All business is based on relationships. People work with you not because of your size or reach, but because they know you, your reputation, and your character. You create the value” (Montoya). Now that you realize that every person has a brand, you need to understand how to access, enhance, and evolve this brand. The more professional attention you can bring to yourself, your experience, and your expertise, the better. Among the collection of tips given to create a personal brand, almost all of them begin with defining your brand. Doing so will help to build your reputation. An important part of determining your brand is to figure out what specialties you bring to the table. What makes you who you are? What skills do you hold? When you discover this, you will realize exactly what you have to offer. Begin branding yourself around your skills and expertise. Perhaps even your quirkiest quality is a point of interest. Did you grow up in another country? Are you color blind? Find a way to make anything and everything part of your brand. In order “to be effective, your Personal Brand must evoke three basic perceptions in the minds of your target market: You are different, you are superior, and you are authentic” (Montoya). These qualities will help you relate to your audience as you stand out from the crowd of dull resumes and boring company websites. Whether you are “insanely organized,” or “people love working with you for your killer sense of humor,” advertise why clients want to know you and work with you (Muse). When you show you have strong, yet very human characteristics, your target audience will be more drawn to you. Also, realize that how relatable you are is largely based on authenticity. Be sure to be genuine and transparent; only emphasize your real qualities! Clients will quickly learn whether or not your skills match those advertised. If you truly encompass everything that you promised, clients and managers will be very pleased that you offer what they were looking for. 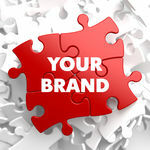 Once you have identified your brand, it is time to sell it! Using resources such as business cards, social media (blogs, Facebook, and LinkedIn), portfolios, resumes, and cover letters, clients and managers alike will begin to see your true potential! Next, you must actively pursue clients or companies. Once you have gotten everything together, go find your target audience and sell yourself, your ideas, your skills, and your mind! “After you spend the time on these parts of your personal branding toolkit, it’s time to showcase it to the world, especially your target audience. Don’t be fooled by the myth that if you build it, they will come. Unless you’re the luckiest person on earth, you’ll have to actually communicate everything you’ve created to others” (Shawbel). Go to career fairs with the intention of meeting companies that might hire you, or to meet potential clients. If you meet someone that could use your services, slip them a business card! Having these resources handy will ensure that you never miss a networking opportunity, which is crucial to your brand. The Business Insider describes that Gary Vaynerchuk started as a cashier at his parents’ liquor store. He was, however, motivated to build himself and the company beyond their comfort zone. He began reading wine magazines, and “To further self-educate, he tasted obscure fruits, grass, dirt, rocks, tobacco and wood–all tastes associated with wine. Armed with these experiences and an entrepreneurial spirit, Gary rebranded his family’s business as the Wine Library and established himself as resident expert. Within five years, he grew the business into a $45 million enterprise which further expanded to include Wine Library TV” (Dishman). Inspired by his passion for wine, Vaynerchuk was able to create a very successful brand for himself and his parents’ company. His passion led him to continue to strive for more! Motivation and passion are virtues needed to build your brand. Read tips that can help introverts build their personal brand, too! 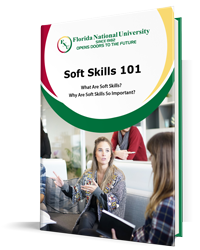 Students at Florida National University (FNU) who need help creating their brand can determine skills and sharpen strengths through the “Employability Skills Workshop” at the Job Placement Center! If you are not a student at FNU, apply today! Dishman, Lydia. “10 Ways To Build Your Personal Brand.” Business Insider. Business Insider, Inc, 09 Apr. 2010. Web. 08 Apr. 2014. Montoya, Peter, and Tim Vandehey. The Brand Called You: Personal Marketing for Financial Advisors. Costa Mesa, Ca: Millennium Advertising, 1999. Print. Muse, The. “The First Step To Building Your Personal Brand.” Forbes. Forbes Magazine, 14 Feb. 2012. Web. 08 Apr. 2014. Shawbel, Dan. “Mashable.” Mashable. Mashable, 05 Feb. 2009. Web. 08 Apr. 2014.